If you’re like me you’re doing a fair amount of knitting while watching the Olympics. Here’s a little something different if you’d like to take a quick break and in order to make it interesting let’s add some prizes. 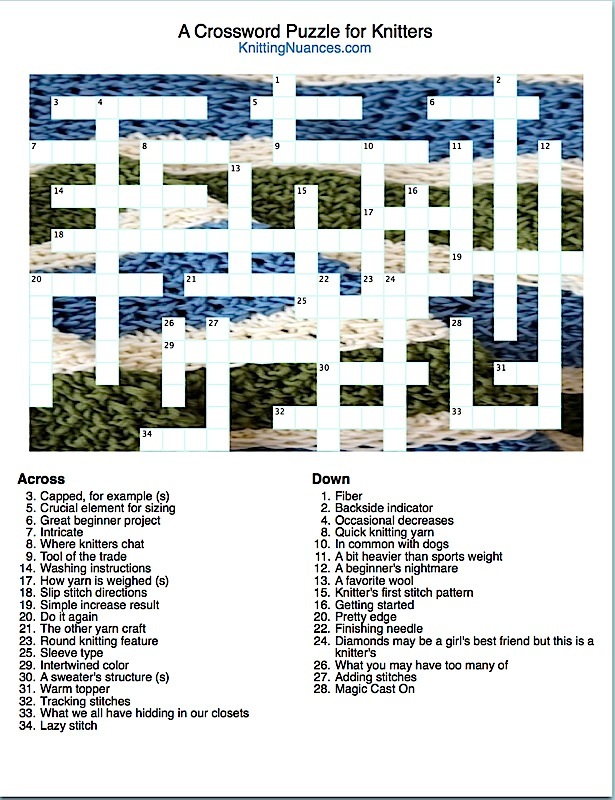 The first three knitters to email me a finished puzzle pick patterns for free. You can choose from any of the existing patterns on Ravelry or pick one of the three new patterns coming out in the next few weeks. These new designs take the “Nuances” introduced in our first patterns and kick it up a notch by using them in new and even more interesting ways. It’s going to be a lot of fun. You can download a PDF version of the file here. If you need a hint ask for it in the comments section and I may just give it to you. It’s so hard to tell if the puzzle is too easy or too hard when you know all the answers. I’ll post the answer key next week on the same link page so prizes are available until Tuesday, Feb. 18th. Send your answers to Laura@KnittingNuances.com. You can take a photo of your finished puzzle with your phone and send it. Once I have the three winners I’ll send you a note with a sneak peek at the new patterns for you to choose from. Have fun. Now go cheer for your favorite Olympians! I’m in love with and in awe of the 15-year-old Russian skater Yulia Lipnitskaya. Have you seen her spin? 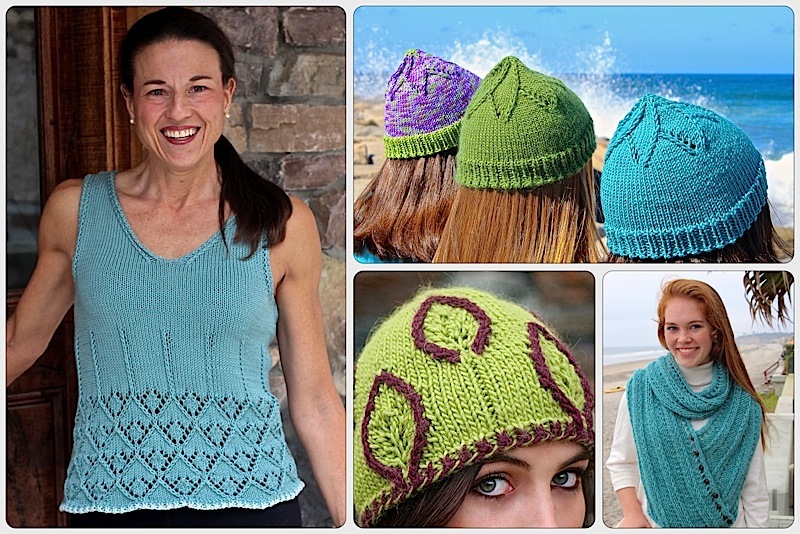 This entry was posted on February 11, 2014 by Laura Cunitz in General and tagged knitting.